Welcome to the "Hotel Accord" where the age old Indian tradition of "Atithi Devo Bhava" which means "Guest is God" a way of life & where everyone committed to taking guests to reverential heights. " 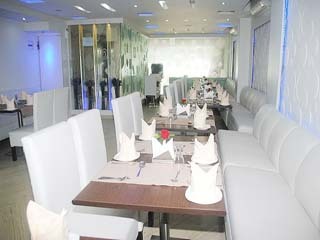 Welcome to grandeur & luxury hotels in ranchi. The hotel welcomes you with space and serenity. Luxuriously appointed guestrooms have been meticulously planned with a host of innovative features using the latest technology hotels in ranchi. Security Guard, Disabled Facilities, Wedding Services, Breakfast Services, Airport Transportation, Laundry Facilities, Catering, ATM/Banking, Recreation, Internet/Wi-Fi. ATM/Banking, Banquet Facilities, Breakfast Services, Doctor on Call, Laundry Facilities, Parking, Restaurant, Room Service, Secretarial Services, Bar. User reviews for "Accord Hotel Ranchi"